Casita Montessori is dedicated to providing a top quality Montessori education to a diverse community of students and families. Your child will be offered choices of activities, can work with materials as long as they like, and will learn through discovery as well as formal teaching. We tailor lessons to your child’s interests and abilities, and find ways to spark interest in as yet undiscovered areas for your child. Our school is designed to provide an environment to support your child’s optimal development through hands on activities, practice with courteous social interactions, interesting intellectual work, and various options for full body movement. We strive to bring forth the best in your child, helping him grow into a happy person with a well-developed sense of self and a strong ability and willingness to contribute to society. 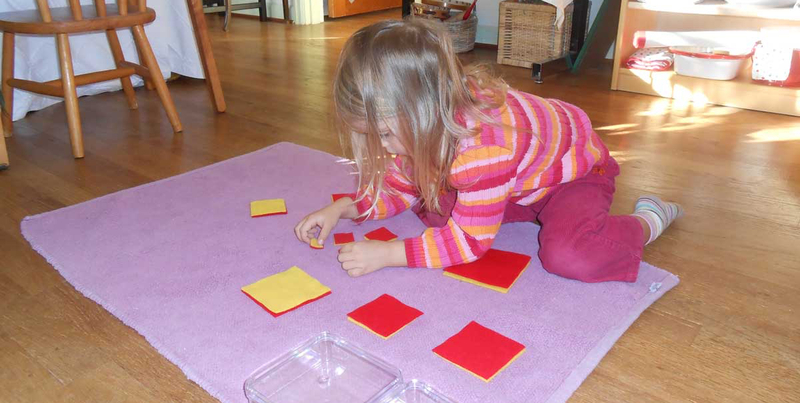 Montessori children are remarkable in their development of a life-long love of learning. Casita has a lovely outdoor deck, extending classroom work into the yard, a labyrinth for peaceful walks, and spaces to play and garden. With the children, we prepare and serve simple and nutritious meals and eat together to promote health in body and soul. Casita Montessori was founded and is run by Theresa DeVost. She has both primary (ages 2.5-6) and elementary (ages 6-12) AMI (Association Montessori International) training and many years of experience as a Montessori teacher in the Portland area. She has served as president of the Oregon Montessori Association and participates in supporting the development of other Montessori teachers in various ways. She also practices meditation, yoga and qi gong and enjoys sharing aspects of each with children. We are located in North Portland, near the University of Portland.